Cameron Martin is a Seattle, Washington native, a Brooklyn based artist and a former Professional Freestyle Skateboarder for Powell Peralta’s Bones Brigade. I met Cameron at a contest out west when he was still in high school. We clicked pretty quickly and it was Totally Rad when he ventured east to study at New York University. We would then spend countless hours skating together at Union Square in Manhattan. Cameron was groomed for innovative thinking and hard work from a young age. Despite him being a few years younger than me he was always a mentor and taught me so much about competitive training and focus. Things like mental rehearsal, visualization and intense physical conditioning. Cameron always shared his work values, they stuck with me and are still applied everyday in my life. 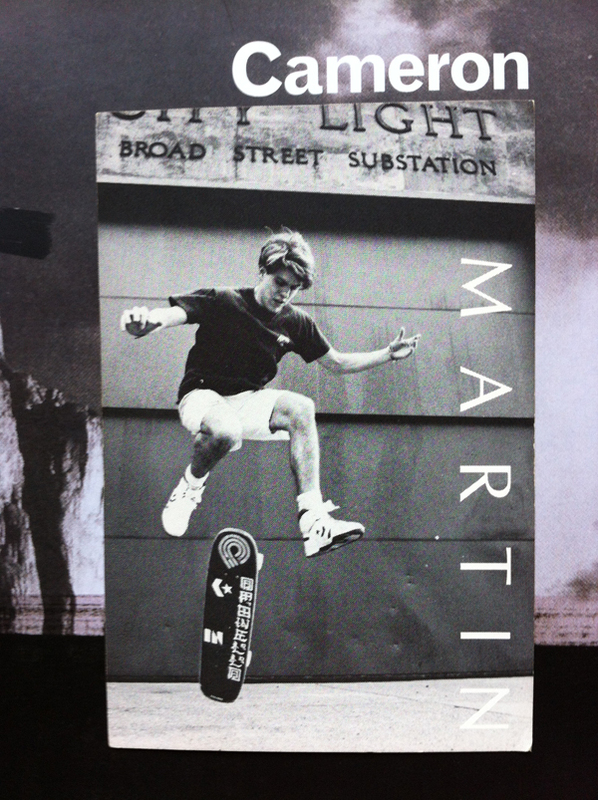 Cameron effortlessly floating a multiple kickflip in 1990. See the video below for a better explanation. 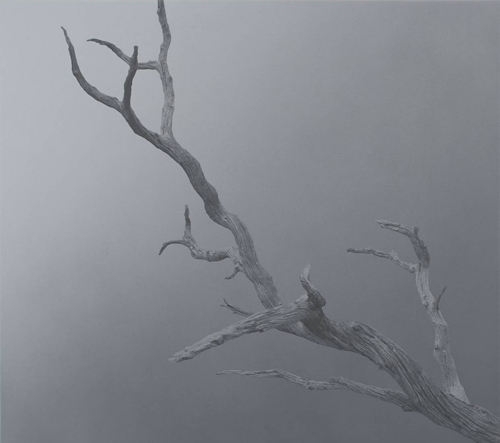 Growing restless at NYU Cameron moved on to study Art at Brown University in Providence, RI. After graduating Brown he went on to have solo exhibitions around the world and several at Manhattan’s Greenberg Van Doren Gallery. Cameron’s paintings resonate with me, he has a keen way of breaking life’s beautiful elements down in a pure yet mysterious way. 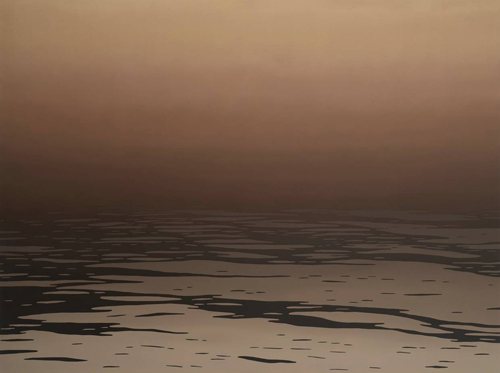 Once referred to by a fellow gallery visitor as a “Master of Gradients“, I would agree. It’s always an inspiration to walk into the Van Doren during one of Cameron’s exhibitions. His work fills the naturally lit space quite well. Monty Ripping a Big Sweeper to Tail. He is a king of what I call “Step Off Tricks”. Photo courtesy of Jim Goodrich. 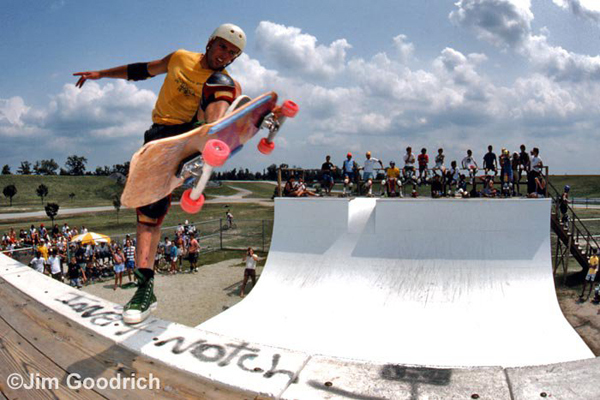 Growing up in Miami back in the day, I would spend all of my time at The Runway, my local skatepark. As soon as the park got up and running and the locals established it as their territory our team was put together. One of the original riders to be put on the team along with me was a young hearing impaired kid from the Cutler Ridge section of Miami, Monty Nolder. Monty soon got a reputation for being an Aggressive and Fearless skater. Even on the totally abrasive, uneven and kinked surfaces of the notorious Runway Monty was always pushing himself to break new ground. One weekend early in our careers we all ventured up to Solid Surf skate park in Ft. Lauderdale for a pretty important regional skate contest. It was a big weekend for us then “Groms“. Tony Alva, Brad Bowman, Steve Olsen and a few other pro skaters came in from California to be celebrity guest judges. 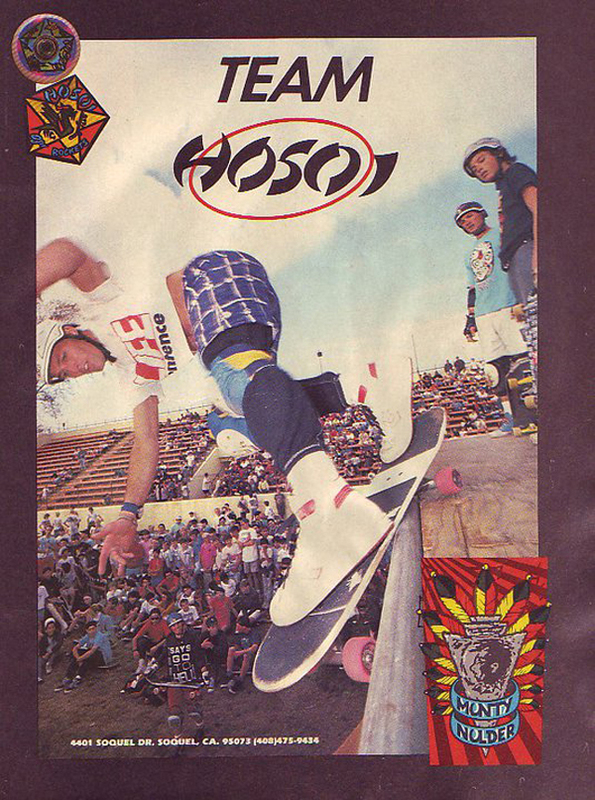 One thing that made me see the awesome potential of a very young Monty was the fact that during the after-contest Pro’s Skate Jam he was totally ripping it apart in the Solid Surf Pool with the same aggression as these established pros. That got him an immediate level of respect, he was able to hang with them. After a I returned from a 4 year break from skating I open up a magazine and see this. Yeah Monty!!! Fast Forward – I moved to NYC to go to art school, Monty moved to California to keep ripping. I jumped back into the skate scene after a four year break and pursued freestyle skateboarding. I walked into my local Manhattan news stand and opened up a copy of Transworld Skateboard magazine. There was a two page spread of Monty busting out a huge air. 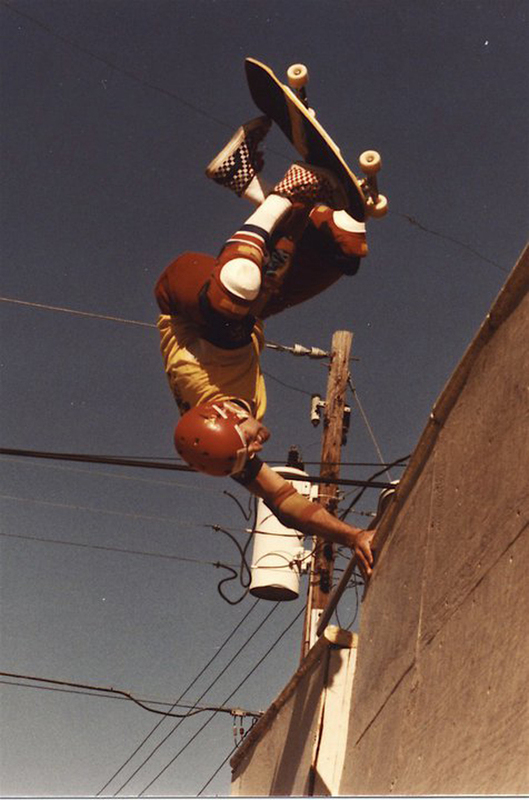 During our early days of skating and driving around Florida to different skate contests Monty was laying out the groundwork for what he would become famous for. Big Air, Aggressive Lip Tricks and an Off the Hook Style. 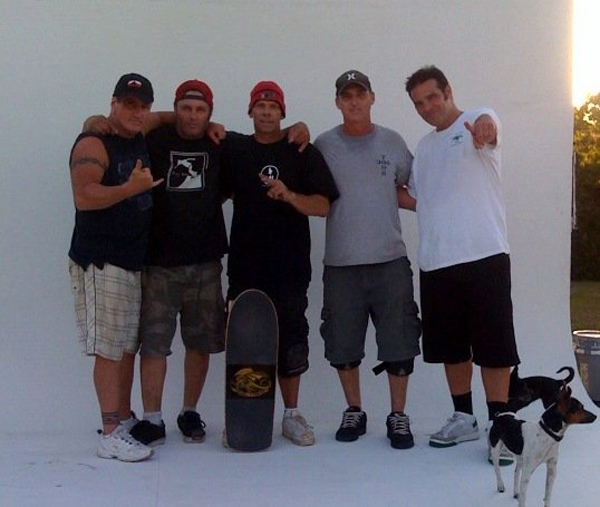 Years later the Original Runway Skateboard Team reunited a few times to hangout, skate and catch up on things. On those occasions Monty was still shredding with the same Mega-Big style. His trucks are still always ground to the axel. The Original Runway Team reconvenes once again. Left – Right; Shawn Webster, Monty Nolder, Wayne Hildreth. Robbie Weir & Rob Rodrigues. Fort Greene Brooklyn native Stu Anderson has been tirelessly spreading the stoke throughout the entire NYC Longboard community. 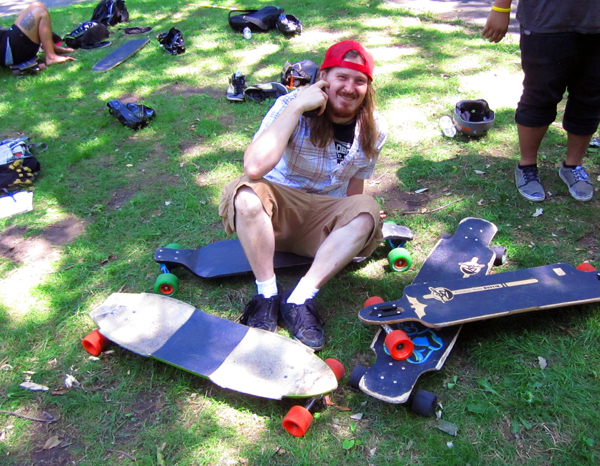 With his 550 member strong Longboarding New York City Meetup page he has been organizing group rides and open skate clinics on a weekly basis. In addition to giving his time for Community Meetups he is also heavily involved in after-school teaching for Stoked Mentoring. Click the links and check out what Stu’s got cooking. Sure Skateboards is on board with his leadership. 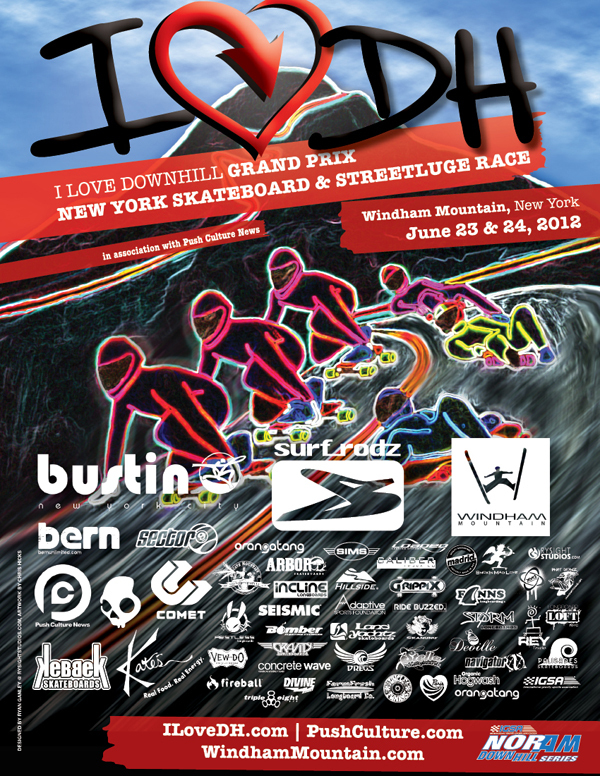 Some of the best downhill skateboard racers in the world will converge on Windham Mountain the 23rd & 24th of this month for the I Love Downhill Grand Prix. 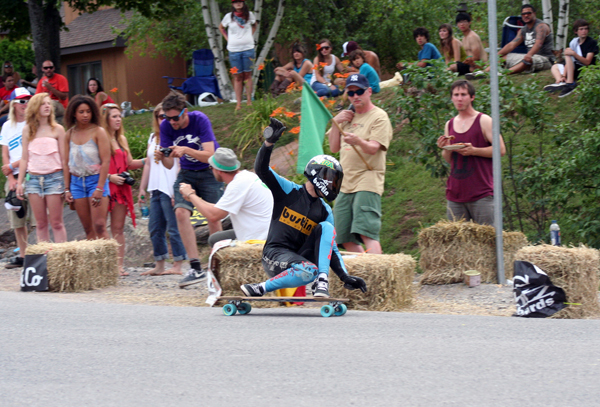 Downhill racing has been gaining a lot of momentum the last few years and is also proving to be a great spectator sport. It’s pretty awesome to see people flying down a hill at 50 plus miles per hour on a skateboard. It takes extreme skill and nerves of steel to handle turns and corners in a pack of racers at high speed. The Windham race is a big deal for the east coast because it’s sanctioned by the IGSA (International Gravity Sports Association). Top riders from around the world are registered to race. Guys like Patrick Switzer, James Kelly and Lois Pilloni to name a few. There are also many riders from the NYC area that have been working on their downhill game that will be competing. If you can’t make it up to the mountain for this great event, watch for news coverage of this and many big events by my friends at Push Culture.